As you can read I recycle all my old hardware and the time has come that my power supply of 200 Watt cannot provide enough power for my backup server. 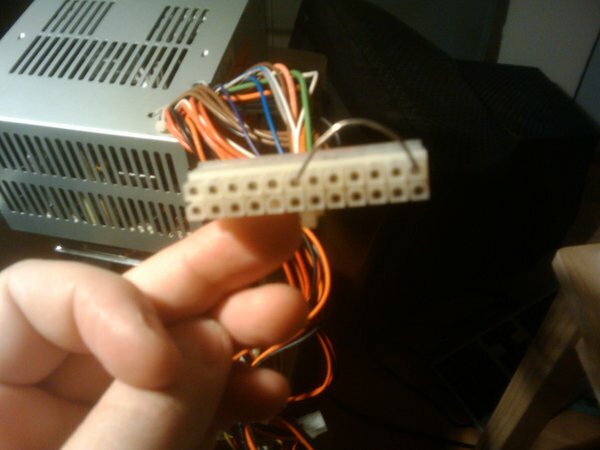 I have lots of Compaq power supply's laying around, so I figured to use one of these PSU's. I tried to search on the internet for solutions to hotwire the power supply. The message I found in google was: "Connect the Green wire (PSON) with any black wire (Ground)". Of course Compaq figured to use a non standard way, and nobody bothered to document this, so now I have done so. I hope you find this helpful! Okay, disconnect all the wires from the Compaq Power supply (Model: 221256-001) and since you will probably toss away the Compaq deskpro EN, be good to your environment -- recycle that thing. 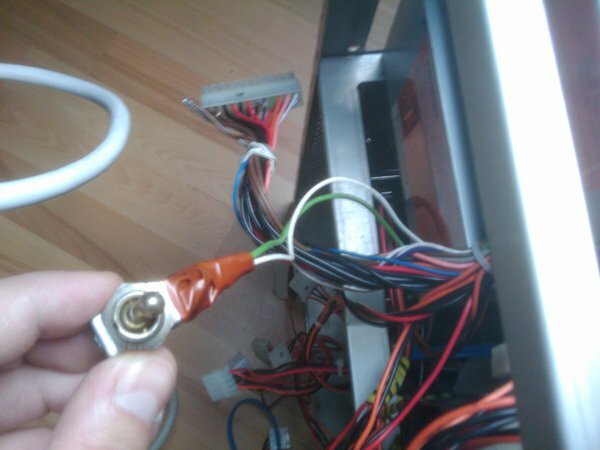 Get a cheap cdrom, hdd that you can connect to one of the molex connectors so you have a minimum load on your power supply, or else the PSU will not do anything. Plug in the power from the wall into your seperate power supply, and watch your fingers! 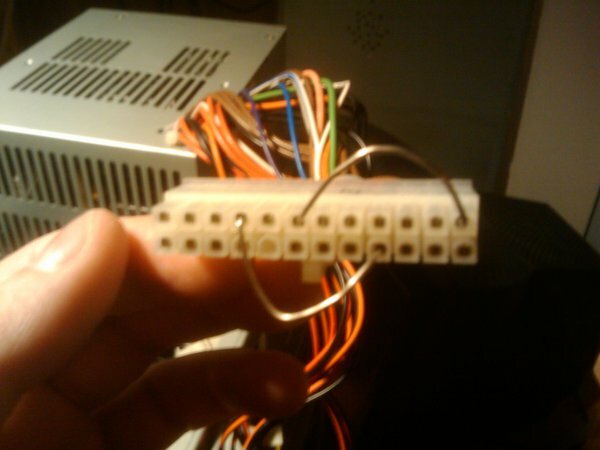 Get the 24 pins Motherboard connector and look at the wires. First connect the Grey Wire to any brown wire (Use one of the thick wires not the thin wire!) on the connector with a paperclip (Just bend it into the right shape). Check your Power supply for funky smells, if not all goes well!! Now connect the green wire to the white wire and the fan should be spinning. Check your dummy device to create a minimum load for your power source, does the drawer open close, are the led's on? If there is no led on the device itself, you can connect a led between a red wire and a black wire. If all works okay you know you have 5 volt and 12 volt. To fully check the voltages use a Multi-meter. Check if the multi-meter works correctly, I know mine gives 3 volts too much on the display. Remember that you first must connect the grey to the brown wire and as a second step connect the green wire with the white wire. Good practice would be to solder a wire between the grey cable and a brown cable, and then putting a flip switch between the green and the white wire. 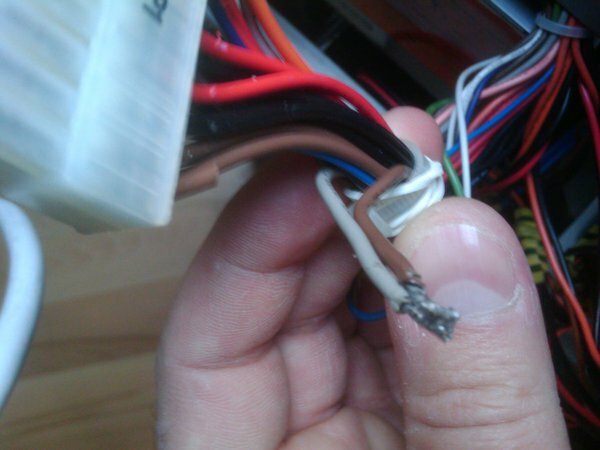 Here is an example of how I did it, cut the grey and a thick brown wire loose and solder them together. Don't forget the tape these wires of or they will short on your computer frame. I have used an old flip switch, and check if it's still working, on the white and green wire. Stay safe and always disconnect the power before soldering the wires!